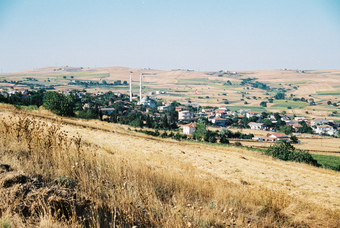 The open landscape around the village of Fener, Thrace. July 2007. Photo: Sam Turner. In many areas of the Eastern Mediterranean there are landscapes exhibiting exceptional time-depth, where the historic landscape is made up of visible features from many different periods. Our research adapted and used a new technique developed in Britain (Historic Landscape Characterisation - HLC) for the first time in the eastern Mediterranean to study these landscapes. HLC is a method for mapping the landscape that can be used to interpret how and when different elements were created. Using Geographical Information Systems (GIS) we integrated data from historical, archaeological and other sources to create detailed, long-term landscape histories of two case-studies areas. Our project studied the historic landscape of the Aegean through the analysis of two rural landscapes in Naxos (Greece) and Thrace (Turkey). It has only recently become possible to undertake such in-depth study of widely separated landscapes. Geographical Information Systems (GIS) now provide a tool for combining and comparing diverse datasets such as orthorectified aerial photographs, satellite data, digital mapping, and data on settlement patterns. In particular, Historic Landscape Characterisation provides a framework for integrated diachronic landscape histories that incorporate data from relevant historical and archaeological sources at a range of scales. Understanding the development of the cultural landscape is certainly a crucial issue for historians, but its importance goes much further. Cultural landscapes form the backdrop to our lives and provide a key element in our sense of place and identity. It is essential that we understand them so that we can manage them effectively and develop them sustainably. By revealing the value in regional landscapes and the real nature of the similarities and differences between regions, this research could have implications for ordinary people, planners and policy-makers from the local to the international level. Turner, S. and J. Crow, 2010. 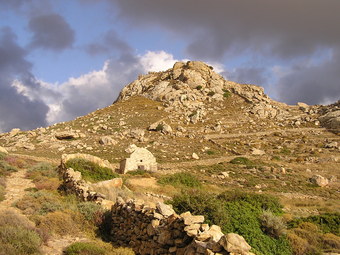 'Unlocking historic landscapes in the eastern Mediterranean: two pilot studies using historic landscape characterisation', Antiquity 84 (323), 216-229. Crow, J. and S. Turner, 2009. 'Silivri and the Thracian hinterland of Istanbul: an historic landscape', Anatolian Studies 59, 167-181.